Runs from USB-stick without installation. 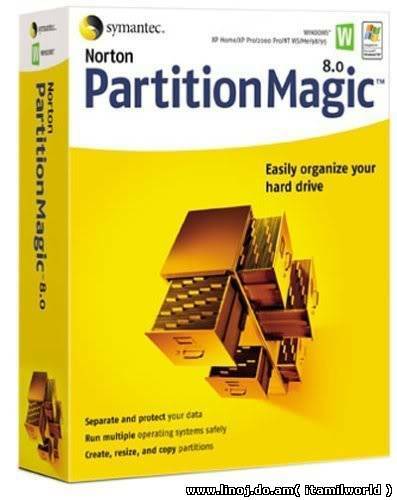 It is Full version Symantec Norton PartitionMagic 8.0 lets you easily organize your hard drive by creating, resizing, copying, and merging disk partitions. Separate your operating system, applications, documents, music, photos, games, and backup files to reduce the risk of data loss if your system crashes. You can also use multiple partitions to run different operating systems safely and efficiently.